Intel today introduced a new era of computing technology a new series of Intel Itanium in parallel with Intel Xeon products, the Intel Itanium 9500 series including Itanium 9520, 9540, 9550 and Itanium 9560, the new processor got 3.1 billion transistors resulting and a new micro-architecture resulting in a boosted performance over the previous generation of Intel's processor targeting enterprise uses. The new Itanium 9500 chip is way better than the previous 9300 series according to Intel's leaked document, with a totally new micro-architecture using 32nm process, with eight cores twice the number of previous generation, and twice instruction throughput, frequency clock up to 2.53Ghz and 8% lower TDP and 80% in Idle compared with previous generation(up to 170 watts), 33 percent faster I/O speed, faster multi-threading and up to 54 MB of on-die memory. 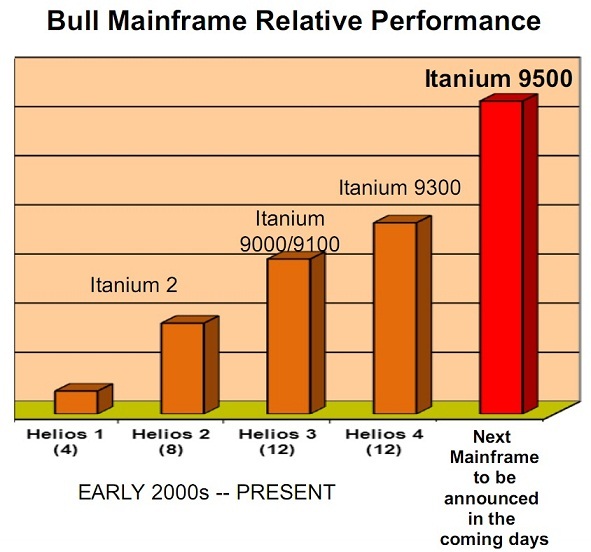 The price of the Itanium 9500 products is from $1,350 to $4,650 in quantities of 1,000 units. pictures are from Intel's leaked documents.